Wondering nothing changed in engine or platform and its less than 4.00m length, so what ever tax saving will be shared with the customer ? or just another ATM or profit making machine for Suzuki.what is the production status will be able to match demand and supply .. This Platform is New Swift based, so expect better ride so many other goodies. The tax benefit would negate the price increase for All New Swift's platforjm, so theres hardly anything to reduce than old Swift Dzire, but still this should be slightly cheaper than out going Swift. Lets see how they price this one. Hope VXI with auto box should be below 6L on road. Highly unlike, atleast in my city. Here ZDI has inched too close to 8L, so VDI is about 7L, so VXI is about 6, so Auto VXI should be over 6.5L IMHO. 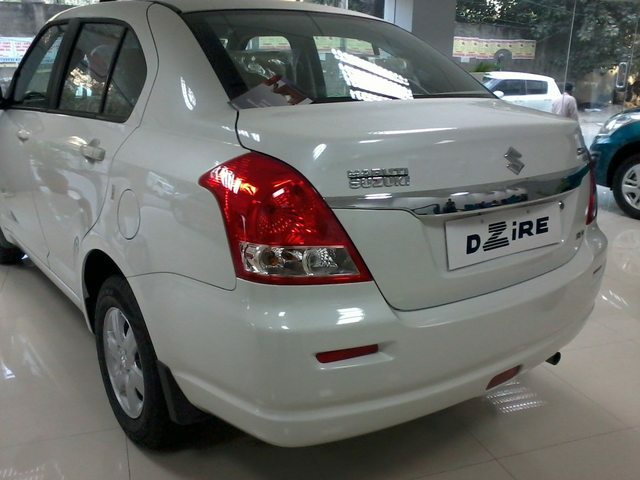 price will remain same of incresed than current dzire but no chance of reduction. 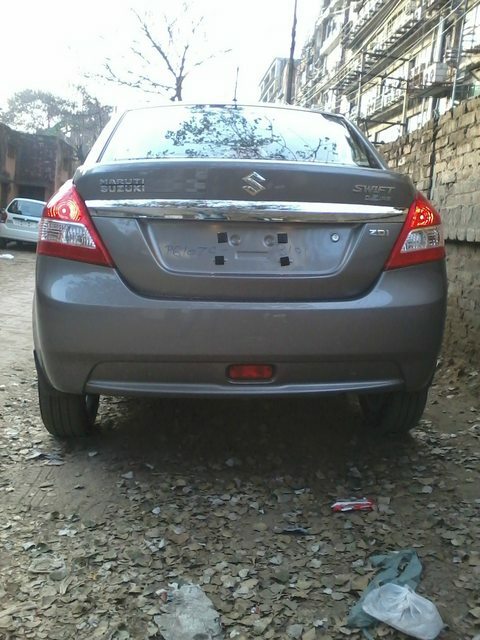 I liked the boot design, nicely integrated tail lamps, the line...everything is well done by Maruti engineers. It has got a sharp fall after the C-pillar. That makes it look a little weird. In terms of design, I'd still say the Indigo CS is a better designed one in terms of integration of the boot into the hatch. Although, this car would provide more comfort than the Indigo CS for sure. Also, a few distinctive styling bits like the fog lamp cluster and the grill along with the beige interior split will definitely be a welcome thing for those who would go for the saloon version. The existing Dzire was completely similar to the hatch until the front cabin which actually did not differentiate from the hatch at all. The auto box will sell like hot cakes I'm sure. A full review of the auto box against the manual variants is something I'll eagerly look forward to read. Not very good pricing in my opinion. A smart buyer looking for petrol will go for Jazz if looking at VXI and ZXI. Yes granted Honda needs to recover fast from the floods. It has been saying March, and hopefully by then there will be some positive news coming from the greater Noida factory. Maruti confirmed that prices are introductory and will be raised soon. Moreover current dzire will be on sale for fleet operators and will get a new name as well. 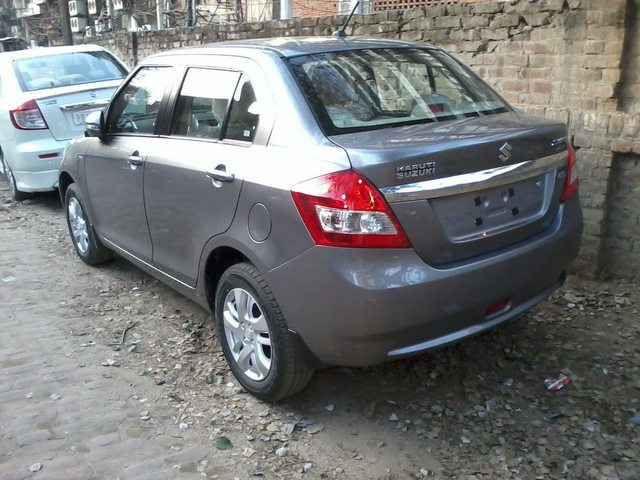 Waiting period of shorter Dzire is now between 4-6 months. Is it 4 months for petrol also? Its time for Honda to strike some blows, run some compare campaigns. 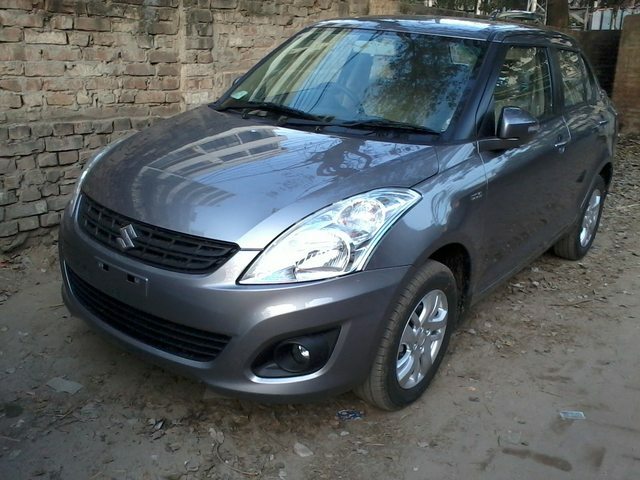 Compared to Dzire it is a much superior car, better looking, and as spacious if not more. It can really take some petrol buyers away from Dzire. 4-6 months wait from the auto-maker is damaging. Waiting period Four months already? So when Maruti launches Ertiga later this year, the waiting period would be one year.. I think MSIL since making all K series vehicles in Manesar plant - wants to create a stock bandwidth of all highly in demand models. And this helps them in two ways - 1) if the strike again happens their then they can keep the supply into the market for few weeks and 2) it make them easy to say "no to discounts and offers". Just a profit making scenario. For diesel any colour has a waiting of 4-6 months depending on dealer. Waiting for petrol will come down soon as reported but no hope for diesel. You are absolutely correct about current pricing of MS cars. Not only that products are priced higher than they should be, even service costs and overall maintenance costs have increased many folds. MSIL have reached a complacent phase and have taken customers for granted. Service providers of major MASS rip off customers by saying anything and with my 8 years of MASS experience I can say its not exactly the same as people think about this company. Agree that spares are cheap and you can service anywhere, but the customer friendly approach and honesty among the workers have gone worse from bad. The phenomenon is like : If you have a problem with a toyota or Honda, you want and get a recall, but if it is in case of Maruti, you have to accept it as normal and continue to live with it. Hence there is no problem with MS cars. The phenomenon is like : If you have a problem with a toyota or Honda' date=' you want and get a recall, but if it is in case of Maruti, you have to accept it as normal and continue to live with it. Hence there is no problem with MS cars. Got l'll bit of time spare to have a look at New 2012 Dzire, as the MS showroom was on my way to home. Overall it looks clean, easier to eyes & somewhat fresh from Front(due to all New Bumper & Air-dam against New Swift) & Rear(due to All-New Boot over previous Dzire). Interiors also feel very well distinct from New Swift due to its 2-tone color(Black-Beige) combo. But on revealing closely a Contrast side came up i.e The Beige texture no doubt is having Leathery texture but its Shiny feel really looks cheap & feel fragile/flimsy against Beige parts used on i20, Polo or even Manza. Really it's the most shocking bit on this car & made myself(a huge Beige-fan) to praise All-black theme of New Swift. Rear Seat is also Comfy with Centre Armrest. Overall, Interiors Ambience is good, if not the best. Boot Space is also more than Adequate for every-type of usage, atleast upto what I can Imagine for family City or Highway usage. Its Boot space also seems to be more than Indigo CS. I'd say, No doubt Maruti's Diesel cars rules in their respective segments but its the Petrol engine which are best suited for Marutis' & they work in best Sync with the Overall Mass distribution & capabilities of its Chassis. The car feels very much Balanced & equi-distributed in weight in Petrol versions, lending them a Secure, stable, Reliable & Confident feel whereas Diesel Maruti suffers from their Nose-heavy feel, which inherently affects its Rattles, Reliability & Braking abilities. Coming to the point, Its VVT Engine feels very Refined, Silent & eager to move against Non-VVT 1.2 of Ritz. Gearshift, Clutch feel & action are again very Smooth & Progressive. Regarding Steering, Frankly speaking I have used my Index finger alone to manouver this 1-tonne car during my 5 km TD. Its Brakes were also Instant Stop-like, atleast in the Petrol version & felt more than adequate during my Trafficky city TD cycle. Another factor in their favour were not so high speeds. Except Length specification column, Maruti haven't left any point to hint that this car is Sub 4-metre in length & It really worked. Though most of its parts upto B-Pillar are shared with New Swift but except name there's no point of comparing it with Swift as All efforts from MSIL, lends it a distinct looks & Identity over Swift. From summing up all the Pros & sort of Weak-ness(not actually a Weakness), this car deserves a Hi-4(against Hi5). Nice & crisp review there Nish. Did you click some pics. too for our members? Btw I saw the car Yesterday but did not TD. Looked Ok to me except side profile! Also the bootlid is super thin. I have never seen such a thin boot lid before. Even the M800 had thicker bootlid. Also the bootlid is super thin. I have never seen such a thin boot lid before. Even the M800 had thicker bootlid.? Finally the Million-Dollar Question of Millions, i.e. How it's viz Old-Dzire ?? That doesn't makes much of the difference actually. -Firstly, The bootlid of a sedan is actually a sort of a lid or a Curtain meant for covering the area & it is supported by a Metal cross-design frame beneath it, which actually provides the rigidity. -Secondly, The bootlid of the sedan doesn't have to bear the load/weight of the components like Glass & its related components like a Hatchback. So, due to these reasons, the Scalpel can be used in the area which aren't load-bearing. Toyota started this with Etios-sedan & why should Suzuki stay behind ! But If you're still blaming the thin metal sheet, then its better to blame the whole car or whole Maruti-range. So the petrol dezire is better to drive than the diesel version? By cutting the boot, Maruti has emptied the ground for Etios, sunny and Manza. 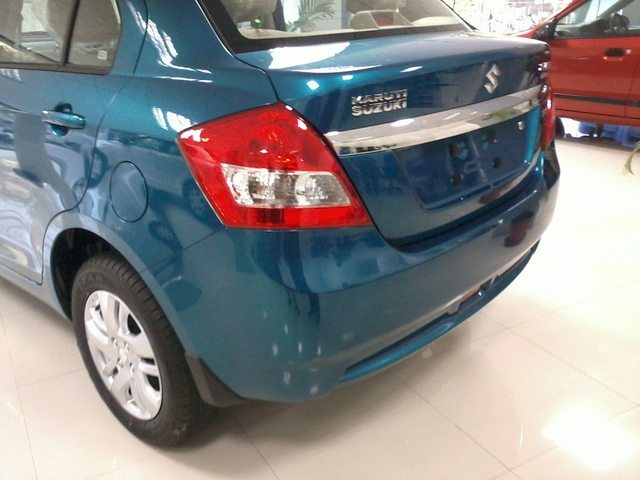 To keep things in their favour, they should market the SX4 aggressively by reducing the prices, updating the product etc.. They should price the Ertiga very competitively to keep their presence in 6.00 to 8.50L category.